I always like spicy chutney and this red hot chutney or as it's called in Telugu Erra Karam or red chutney just fits the bill for me. 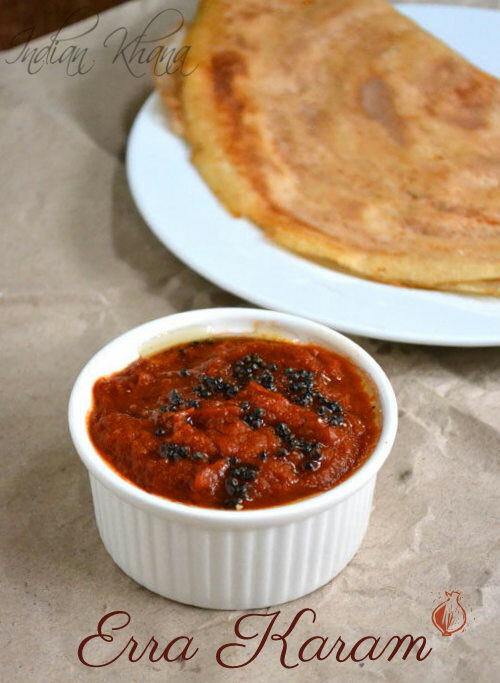 This is Prathibha's recipe from the time she posted Erra Karam Dosa I wanted to try it and I did too, it's one of spicy and flavorful dosa but the dosa talk we will do later some time for today this erra karam is our friend. 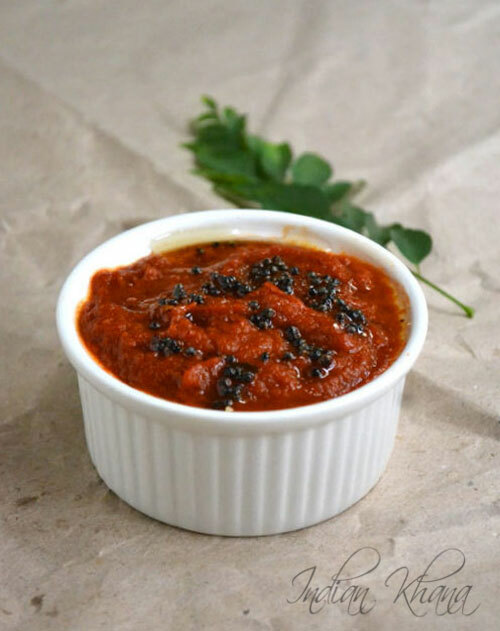 Erra means Red and Karam means Spicy in Telugu so this is red hot spicy chutney made with simple and minimal ingredients and star ingredient in this recipe is chilli. The type of chilli we use plays a major role on getting the nice red color of chutney and thus mostly the popular Byadgi Chilli is used or it's powder form as byadgi chilli gives good red color and it's not very spicy too. But if you don't have byadgi chilli then you can use Kashmiri mirch or any other chilli or chilli powder for that matter the color of chutney won't be bright red that's all but the taste remains still good for this erra karam or red chutney. 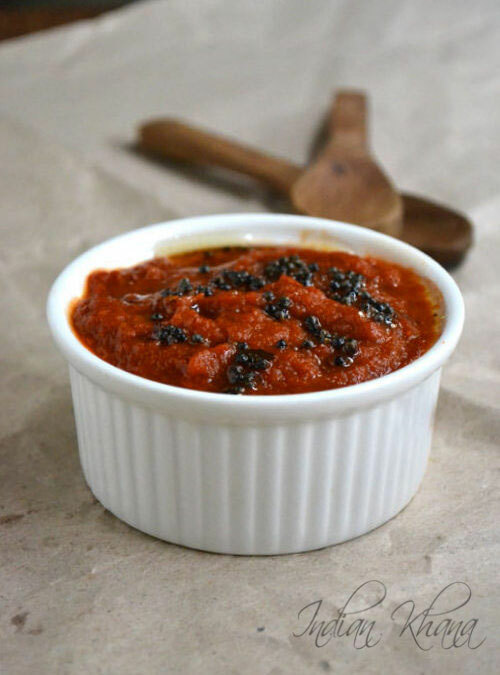 This chutney is normally used as a spread in erra karam dosa but we can use it as a side for idli, dosa too in fact I like it as a spread for bread but that's me you can still stick with idli, dosa. If you don't eat spicy food then reduced the chilli quantity. 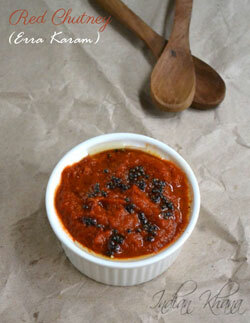 So here the simple, quick and easy Erra Karam aka Red Chutney for you guys. 1. Peel and roughly chop onion. Grind together with tamarind, red chilli powder, salt and garlic. ~ Quality of chilli plays important here to get rice red color I used byadgi chilli powder. 2. In a tadka or small pan heat oil add mustard seeds and allow to splutter. Pour over chutney. 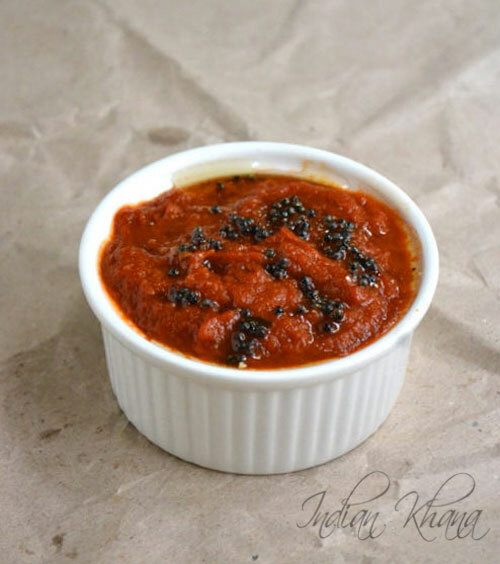 Enjoy this chutney with idli, dosa or use as spread for dosa. Use good quality chilli powder or dry chilli. I used byadgi chilli. If you don't like saw smell of onion and garlic then saute them in oil until light brown and then grind.